Could it have come at a worse time for Kenya’s Tourism and Wildlife Ministry? With Kenya still stinging from the humiliation and embarrassment over the translocation-related deaths of 11 rhinos, a Kenyan court declared on August 3 that convicted ivory trafficker Feisal Mohamed Ali was to be set free. Lady Justice Dora Chepkwony ruled that he should be acquitted for a number of reasons, ranging from constitutional concerns to original trial irregularities. 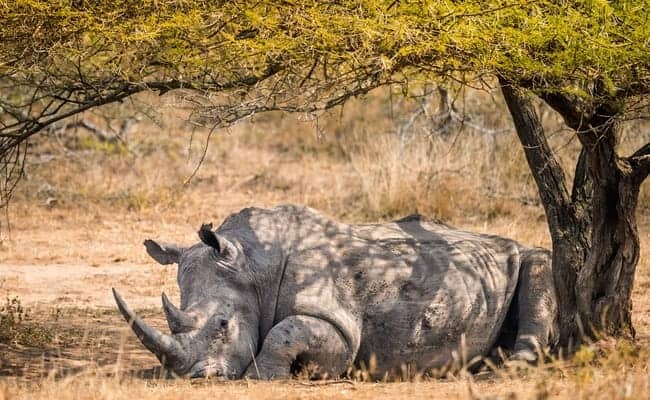 The conservation world, as well as Kenya’s Office of Director of Public Prosecutions (ODPP) and Kenya Wildlife Service (KWS), were not unsurprisingly apoplectic with rage. Since Kenya had convicted Feisal in July 2016, his prosecution had been put on a pedestal to show the world that wildlife trafficking ‘kingpins’ could be put in jail. Lady Justice Chepkwony pulled the carpet out from under that pedestal, and no doubt there are many either doubting her integrity or the integrity of the judicial process. 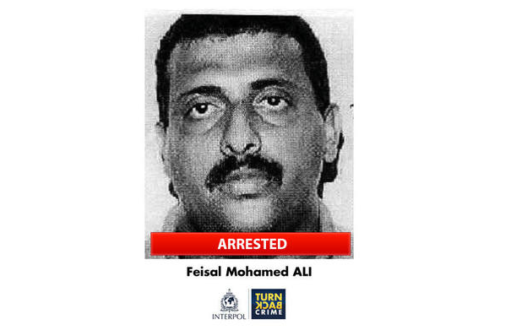 To all who follow elephant conservation and the world of international wildlife trafficking, the name Feisal Mohamed Ali is all too familiar. Identified as the kingpin of an ivory trafficking cartel, he fled Mombasa on June 5, 2014, after 2,152 kilograms (4,744 pounds) of ivory were seized by police at a local warehouse. An arrest warrant for Feisal was issued and, two days before Christmas 2014, he was arrested with Interpol assistance in Tanzania. Nineteen months later, Feisal Mohamed Ali was convicted of being in possession of that ivory and sentenced to 20 years in jail and fined 20 million shillings. An elephant in South Africa’s Kruger National Park. Photo by Rhett Butler. For the few close observers of the trial, the sentence handed down by Senior Principal Magistrate Diane Mochache was viewed with some puzzlement, however. For all the evidence presented before the three different judges over the trial period, the weakest case, a case of solely circumstantial evidence, was against Feisal. Co-accused Abdul Salim Omar Sadiq, who was arrested at Fuji Motors on the night of the “seizure,” who assisted Feisal with logistics and had 56 phone contacts (texts and calls) with Feisal in the space of four hours, was found not guilty. Furthermore, the three co-accused directors of Fuji Motors Ltd, where the two tons of ivory had been apparently stored for a number of days, were also found not guilty. 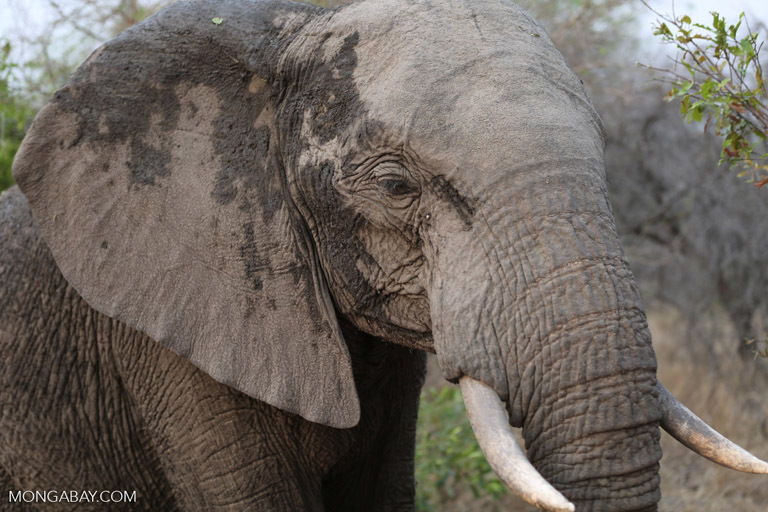 For the many concerned about illegal wildlife crime and the future of Africa’s elephants, this verdict seemed like a great victory. Feisal’s conviction was hailed as a landmark ruling. It was seen as the first time a major ivory trafficker had been convicted in Kenya and as an example to all that Kenya could investigate, prosecute, and convict major ivory traffickers. 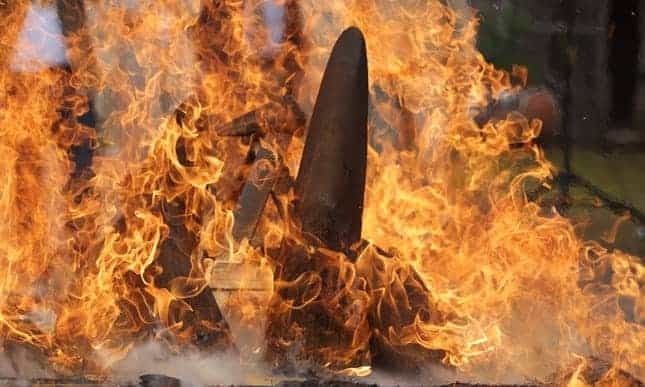 Coming just a few months after Kenya’s historic burn of 105 metric tons of confiscated ivory, the sentence handed down to Feisal helped foster the perception that, finally, transnational wildlife crime could be successfully prosecuted in Kenya. Interpol had, at one point, placed Mohamed on a list of nine most-wanted suspects linked to crimes against the environment. Image courtesy of Interpol. But the reality of the case was far removed from people’s perceptions. The ugly truth was that the entire judicial process surrounding the ivory “seizure” was sucked into what was to become a vortex of corruption that spun wildly out of control. And while Kenyans and the conservation world cry foul and corruption over the appeal acquittal of Feisal, Lady Justice Chepkwony is the one righting the original wrong. 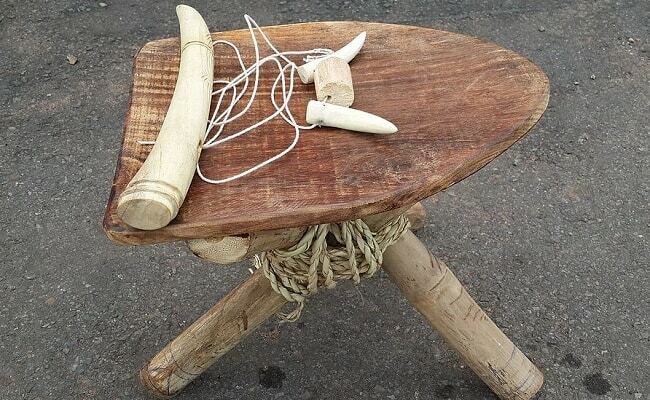 Chief Inspector Peter Mbua was the lead officer in this ivory “seizure” and one of the prosecution’s main witnesses. At the time, he was the Officer Commanding Makupa Station within the city of Mombasa. Mbua, of course, has never admitted as such, but his actions on that night, his subsequent obtuse and deceitful testimony, and the blatant way in which he obstructed the investigation would lead an ordinary person of sound mind and judgement to no other credible conclusion. Due to changes in magistrates, CI Mbua testified on three separate occasions during the trial process. Every time, he was hammered by the six different defense counsels over his honesty and integrity in recounting what really transpired on the night of the “seizure.” At one point during the trial, while under cross examination by defense counsel Moses Kurgat over the countless ways he had violated police investigative protocols, he stated to the court: “This was not an investigation, it was a recovery.” It was probably the most truthful statement he made during his testimony. Mbua did go to Fuji Motors to make a recovery, but not for ivory. It is almost impossible to ascertain exactly what happened on the night of the seizure due to significant contradictions between the stories told by testifying police officers. However, using Mbua’s testimony as a baseline, he and a small team of officers appeared at one of the two gates of Fuji Motors Ltd at approximately 10:00pm. He did not set up a secure perimeter. He had no crime scene officers with him. He did not have any transport on standby, even though he ostensibly believed he was about to come across two to three tons of ivory. He claimed that he negotiated with a night watchman for two hours before gaining entry into the compound. (Has anyone ever heard of a police officer negotiating an entry to execute a legal search?) Mbua did not record or recall the nightwatchman’s name (who is still anonymous and missing) and he failed to arrest two men found on the premises. At 01:30am, Mbua enlisted the help of the general public to carry the ivory from where it was located in a storage building onto the waiting Administration Police lorry that had been called in. 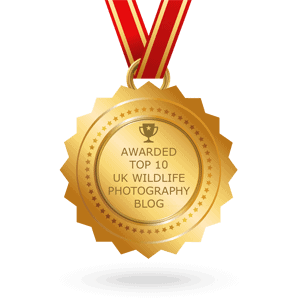 No exhibit log was completed or photos taken of the ivory on site. One is left to wonder how much ivory went ‘missing’ between the Fuji Motors compound and Makupa police station. At some point, what looks very much like a shakedown attempt morphed into an official police “seizure.” According to phone call data later examined by the police, the longest conversation by Feisal that night was with Police Constable Tom Juma (4 minutes 41 seconds duration). Tom Juma was a Mombasa CID officer who was part of the Mbua team that night. Juma testified that the conversation had to do with key access to where the contraband ivory was stored. Considering that the police had, at that point, been on site for over five hours, this was clearly a lie. But, finding themselves in circumstances that can only be described as perverse, the defense could not challenge his truthfulness without implicating their client, and the prosecution could not challenge for fear of implicating the state in criminal wrongdoing. That call took place at 05:17am, so it would be fair to conclude that at about this time negotiations between Chief Inspector Mbua, Tom Juma et al, and Feisal’s organization broke down, the police were stuck with a load of ivory they did not want, and now this “rip off” had to be turned into a glowing example of police investigational prowess. Mobile phone data analysis was utilized and given considerable weight as part of the evidence against Feisal and his co-accused’s during the trial. Police analysts presented to the court a chart that graphically displayed 15 numbers of significance and the number of phone contacts that had been made between Feisal and the subject numbers. Not surprisingly, the chart indicated not only a high volume between Feisal and co-accused Abdul Salim Sadiq Omar, but also corroborated evidence of prosecution witnesses relating to a vehicle rented by Feisal days prior to the “seizure.” The phone data analysis also revealed, however, that the Feisal investigation was always focused on him alone, to the exclusion of other obvious suspects. Call data analysis indicated that a person using a phone subscribed to the Mombasa businessman had nine contacts with Feisal on the morning immediately following the “seizure” between 9:25am and 6:25pm. Certainly of note, Feisal’s first outgoing call after he fled to Nairobi later that day was to the said subscriber. To put this number of contacts between Feisal and said subscriber in perspective, before the night of the “seizure,” there had only been nine previous contacts between the two, going back to May 23. Clearly, this Mombasa businessman should have been at the very least a person of interest to the police, but this was never a subject of testimony or inquiry during the trial. One mobile number not on the chart belonged to the only subscriber who called both Feisal and co-accused Sadiq Omar on the night of the “seizure.” We shall call this subscriber ‘H.’ Between 11:00pm on the night of the “seizure” and 5:00pm the following day, there were 29 phone contacts between H, Feisal, and Omar Sadiq. One of these calls was the first outgoing call made by Feisal after his conversation with Tom Juma, a conversation that was almost certainly a negotiation for the police release of the ivory. The identify of H was never brought up during the trial by either prosecution or defense. One of the more publicized events during the trial process involved the disappearance of nine vehicles from the compound of Fuji Motors Ltd after the “seizure.” The ODPP had directed on June 10, 2014 that police were to ensure that no vehicles or any other property was to leave the compound until the completion of the investigation. In other words, it was designated a crime scene and required 24/7 security. A letter documenting this order was sent from the Divisional Criminal Investigation Officer (DCIO) to Mbua, who complied and assigned five officers to this task. Six months later, in December, it was discovered that nine vehicles were missing from the supposedly police-secured compound. This evidence tampering was addressed by Magistrate Mochache in court on December 28, 2015 when she ordered that ODPP conduct an inquiry, separate and apart from the trial, into the circumstances surrounding the interference with the crime scene. (This inquiry was never conducted.) Mbua was in fact partially culpable for the disappearance and admitted to the court that he had released the officers from the assignment three to four weeks after the initial deployment over either a) manpower concerns or b) concerns from the property owner, who was uncomfortable with the police presence on the property, depending on what version of his testimony one chooses to believe. It turned out that there was a second court order in place, from another court, relating to Fuji Motors Ltd and unpaid rent. Mbua also used this as an excuse to withdraw his officers without any documentation and without advising anyone else except for Corporal Jackson Guyo, the case investigating officer who was considerably his junior. The evidence against Feisal was anything but ironclad. Besides the apparently frenetic and numerous phone calls and text messages made by him on the fateful night, the prosecution submitted that Feisal, in the company of his right hand man, Sadiq Omar, borrowed a truck from a Mombasa broker and then, based on a gate pass register and cash payment receipt, parked and paid for a similar truck’s stay (the registration plate was different) at Fuji Motors for a number of days immediately preceding the “seizure.” There was no forensic evidence that ivory had ever been in the rented vehicle and no specific evidence on how the 2,152 kilograms of ivory found its way into the storage room at Fuji Motors. When ascertaining truth, what is not said is often just as important as what is stated. In this case, and as noted by Magistrate Mochache, not one prosecution witness, including the investigating officer, testified as to who actually possessed the ivory. Both Feisal and Sadiq Omar testified in their defense, and there were significant contradictions between both. The ODPP, in its written submission to the court relating to its testimony, stated: “Inconsistency on their part renders their defences worthless, unreliable, unbelievable and untenable.” Should this argument not also be applied to police testimony? While much has been made of “tampered evidence,” the back and forth over Feisal’s bail request, and to a lesser extent Magistrate Karani’s mid-trial suspension, what has never come under scrutiny was the police investigation. The conduct of the police that night and throughout the prosecution was not only totally devoid of any integrity but, in fact, orchestrated solely to protect themselves from being criminally implicated. Indeed, there is certainly evidence to suggest that the police and perhaps even the prosecution did not expect the trial to come to a natural conclusion. The first prosecution witness testified on January 20, 2015. The police request made to Police Officer David Kiboi for his phone data analysis was made in August 2015. He did not actually receive the data to analyze for another three months. The handwriting analyst, Superintendant John Muinde, testified that he did not receive the police request to analyze Feisal’s handwriting on the gate register/receipt until July 27, 2015. This means that the prime evidence on which Feisal’s conviction was based was not requested until eight months after the trial had commenced. 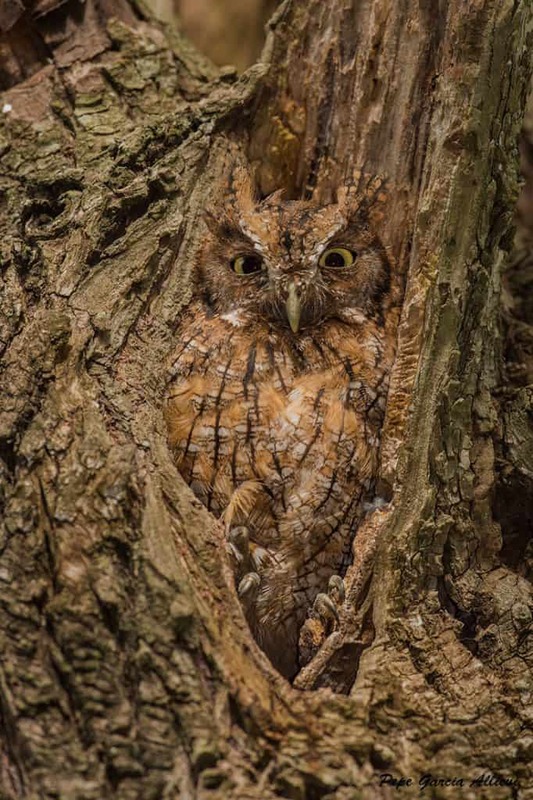 So who has the last word? Following Feisal’s conviction, Feisal’s counsel said that the “trial court erred in law and fact [and] that it convicted [Feisal] on the basis of mere suspicion.” The counsel also stated that Feisal had been made a “sacrificial lamb so as to appease the public.” Considering the substantial national and international media attention that this trial had received as well as the political climate at the time, this possibility cannot be ignored. Three months prior to the Feisal conviction, in an event that had again put them in the global spotlight, Kenya burned 105 metric tons of seized ivory. President Kenyatta proclaimed then that “poachers and their enablers will not have the last word in Kenya.” This was during a time when Kenya’s First Lady was leading the very successful “Hands Off Our Elephants” campaign and Kenya was positioning itself to take a lead role in the upcoming CITES meetings in South Africa. Clearly some national embarrassment would have been suffered with a Feisal acquittal. Is it really not beyond the realm of possibility that someone could have whispered in the ear of the presiding magistrate that a guilty verdict would be in Kenya’s best interests? While the factual guilt of Feisal Mohamed Ali is essentially not an issue, his legal guilt is. Should an accused be convicted on the evidence of corrupted agents of the state? This ivory “seizure” by officers of the National Police Service was not of lawful purpose but for criminal gain and all subsequent actions by them were for the sole intention of trying to extricate themselves from criminal liability. Counsel for all accused knew it and so surely did the ODPP. Four months after the Feisal seizure, Chief Inspector Mbua was transferred from Mombasa to a place one would have difficulty finding on most maps. The transfer of one rogue officer can surely not equate to justice. Despite all the outrage from the well-intended but not so well informed, Lady Justice Dora Chepkwony’s ruling was an attempt to right a judicial wrong and send a message that the end does not justify the means. She recognized the clear failings in the initial trial and made the only decision that could be made. Kenya is still looking for its first conviction of a major player involved in illegal wildlife trafficking. Don’t hold your breath. 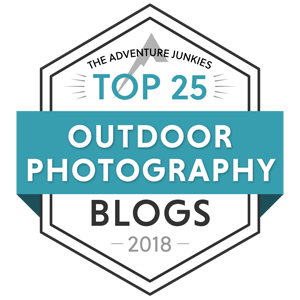 This article was first published by Mongabay.com on 17 Aug 2018. It sure is a puzzler I’ll give you that!